Mary Hoffman has written more than 70 books for children, and her powers of observation bring vitality and humour to all her stories and retellings. Her previous titles for Dorling Kindersley include Henry's Baby and A First Bible Story Book. 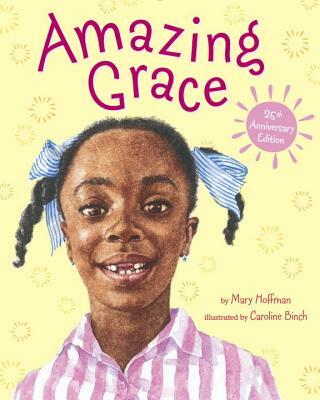 Her best-known picture books are Amazing Grace, Three Wise Women, and An Angel Just Like Me. Mary lives in Oxfordshire with her husband and they have three daughters. The girls were brought up on myths and legends, of which Mary and her husband have an extensive collection. Caroline Binch lives in Cornwall, England.